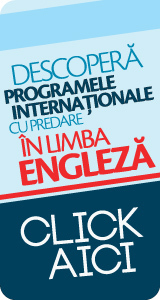 (1) The Romanian-American University in Bucharest is organized and functions on indefinite term. (2) The Romanian-American University has university autonomy according to the law and economic-financial autonomy, based on the private property principle, guaranteed by the Constitution. The entire text of the "Romanian-American University Charta" is available online (click on the cover) or in print at the university library.